Today, I have an exciting new subscription box to share with you, designed especially for the expecting mama! 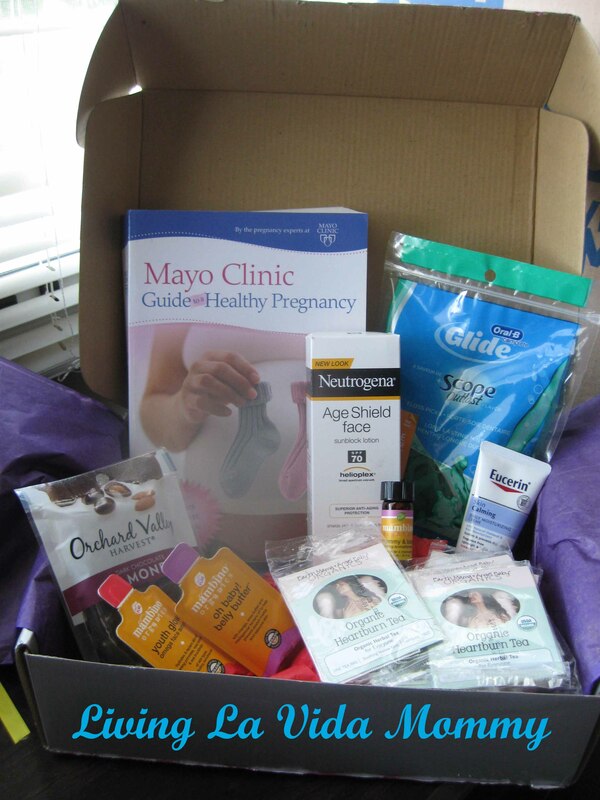 What a perfect time to pamper yourself, and look forward to a new box of goodies each month throughout pregnancy! This would also make an amazing gift for that special mama to be in your life (hint hint to all the expecting papis out there!). 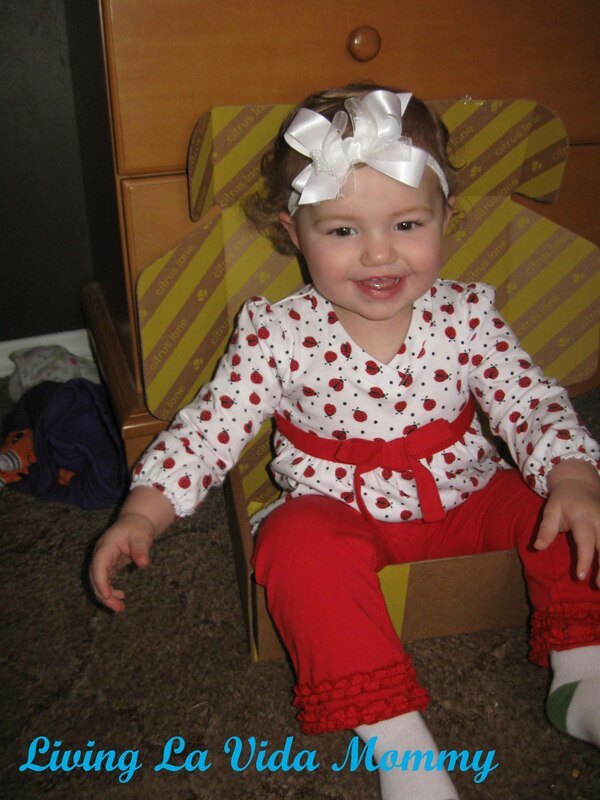 Better still, with every single paid subscription, you also receive a free baby box filled with items valuing $30! Let’s dive in, shall we? 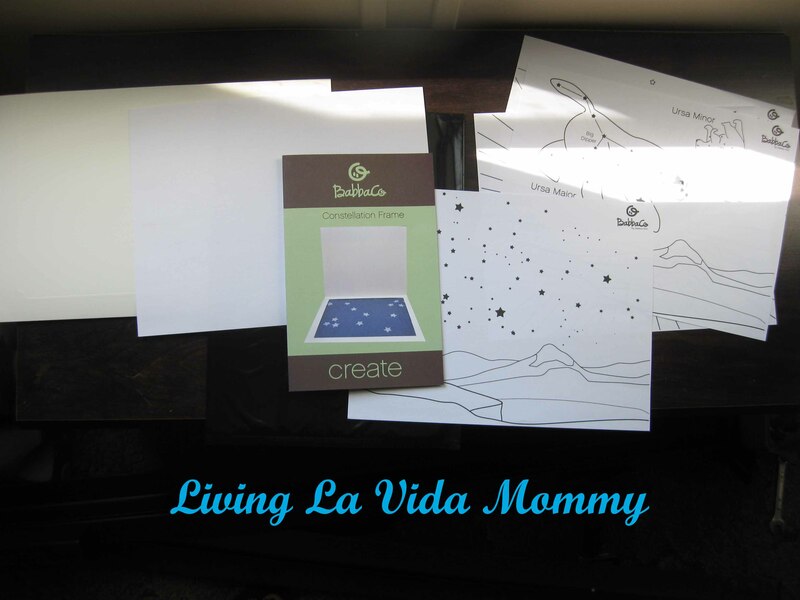 I received Box #4 for review, this is the magical time in pregnancy when the morning noon and night sickness starts to wear off and you can finally start to enjoy the ride a bit! The box was oh so lovingly packed, seeing all the pretty tissue paper and the neat little bow just made me smile instantly, such a nice way to package everything! 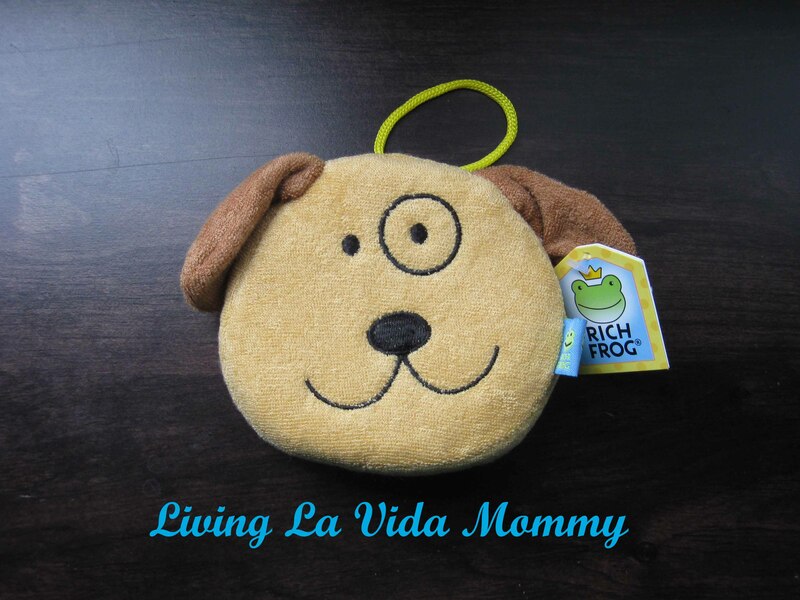 And the box was packed full with all kinds of awesome, pregnancy stage appropriate items! This was the first thing to catch my eye, yum! 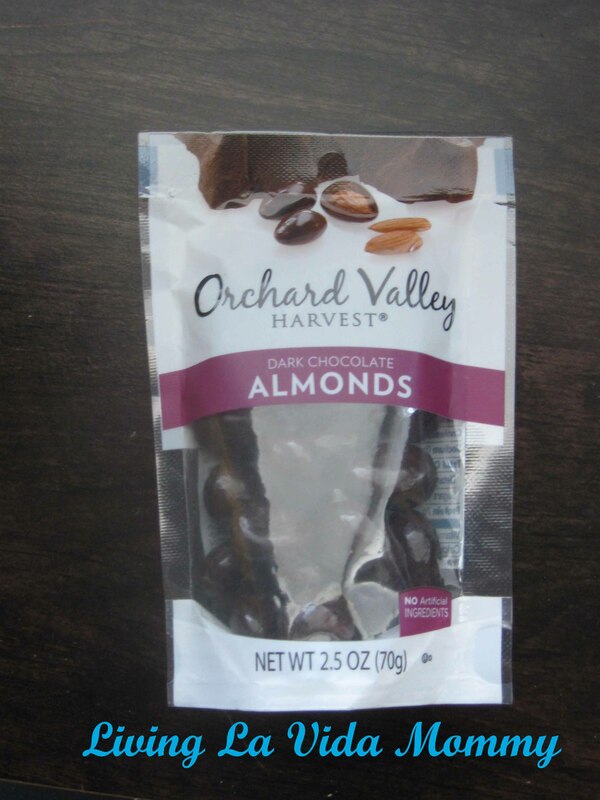 Almonds are a great, low carb food, perfect for storing in your purse for snacks on the go. 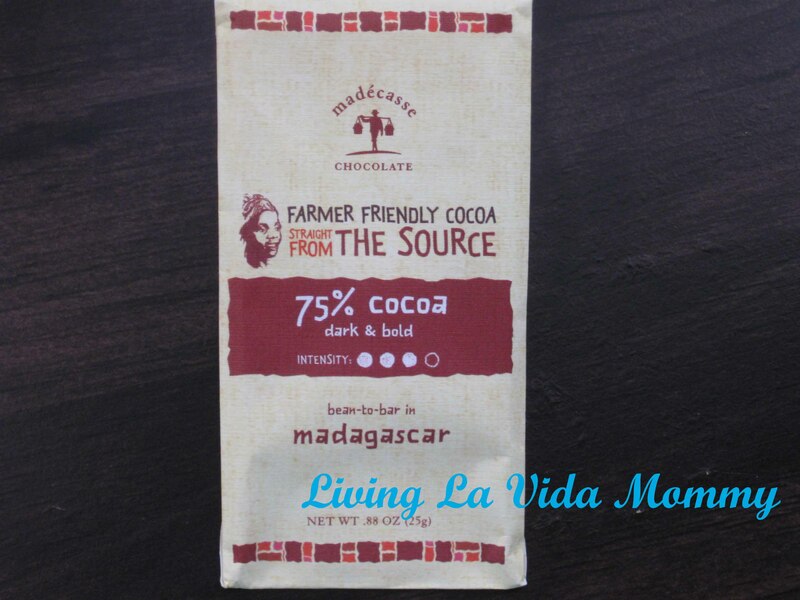 The added dark chocolate is a great bonus, filled with antioxidants and yummy goodness for the perfect treat during pregnancy or anytime. 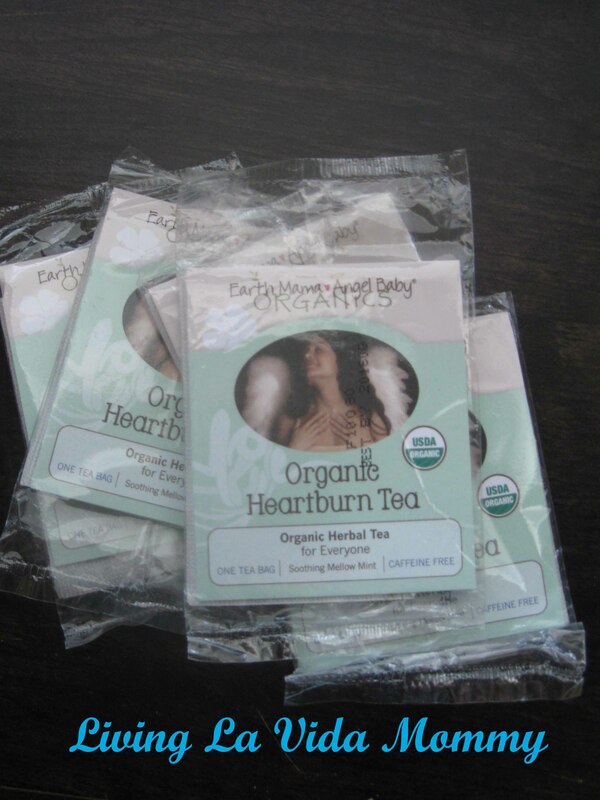 I love Earth Mama Baby Angel anything, so having the yummy heartburn tea was a welcome addition to this month’s box! Pregnancy comes with lots of fun little discomforts, one of the biggest for me is always heartburn. This delicious organic tea is the perfect herbal blend with a soothing mellow mint flavor that helps ease the discomfort of heartburn. The tea is also caffeine free, so no worries! Drink as often as needed! This tiny bottle is serenity in disguise. Apply a small dab to each temple for relief with nausea, and continue use for calming effects both for mom and baby. Organic oils are very potent, and just the tiniest of amounts proves very effective, so even in a small package, this bottle of magic will last a good while. 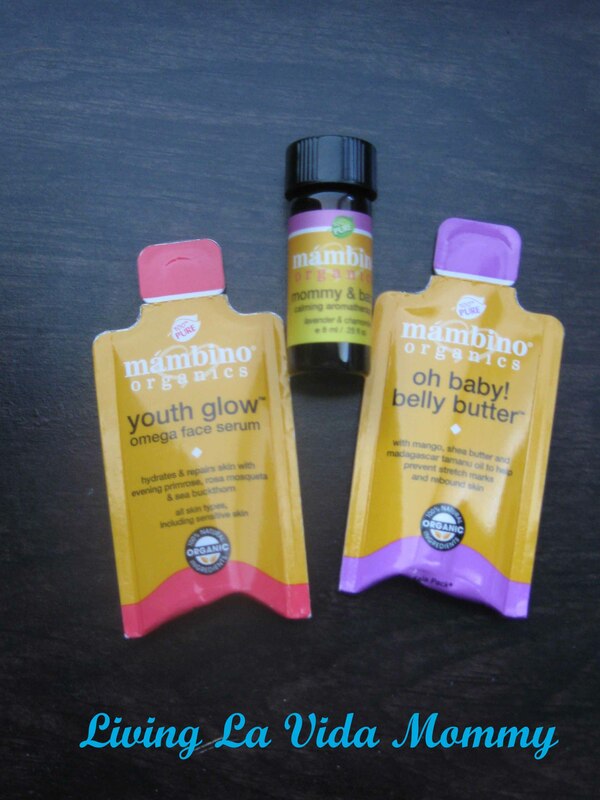 Also included were sample sizes of a few other products, Youth Glow Face Serum and Oh Baby! Belly Butter. 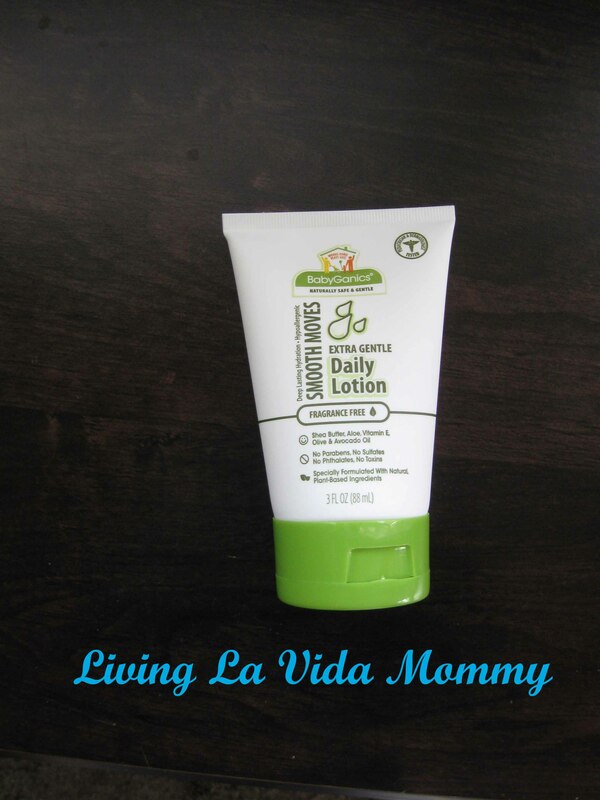 Awesome, pampering products that are safe and organic for the mama to be. 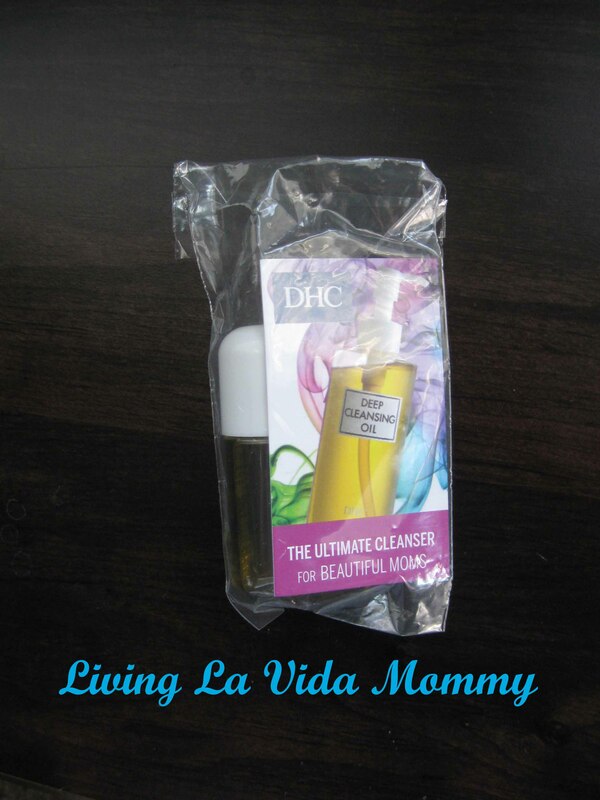 Perfect for throwing in your purse and moisturizing on the go! During pregnancy, your skin can tend to be more sensitive and dry. 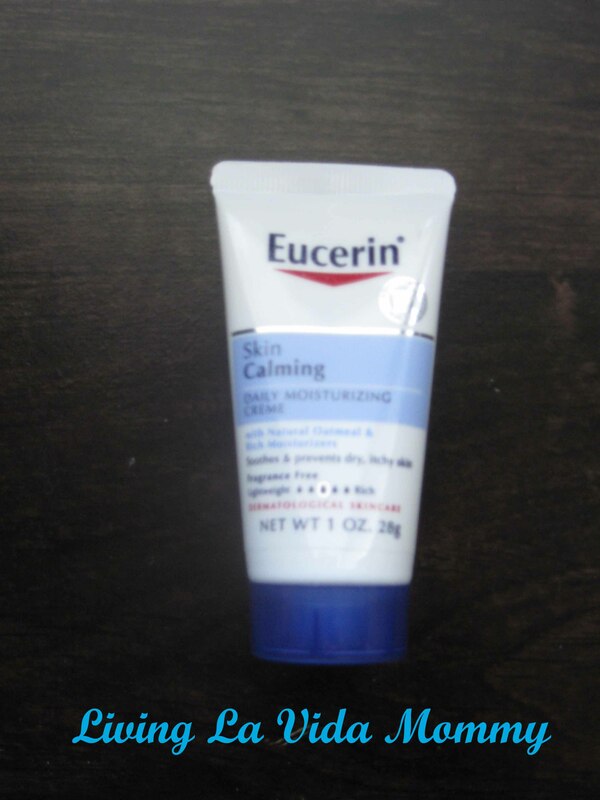 Having this in your purse is a great way to help keep that dryness under control in between doctor’s appointments and busy schedules. Moisturized skin is happy skin! Having more sensitive skin, means being more susceptible to sun damage and even sunburns. 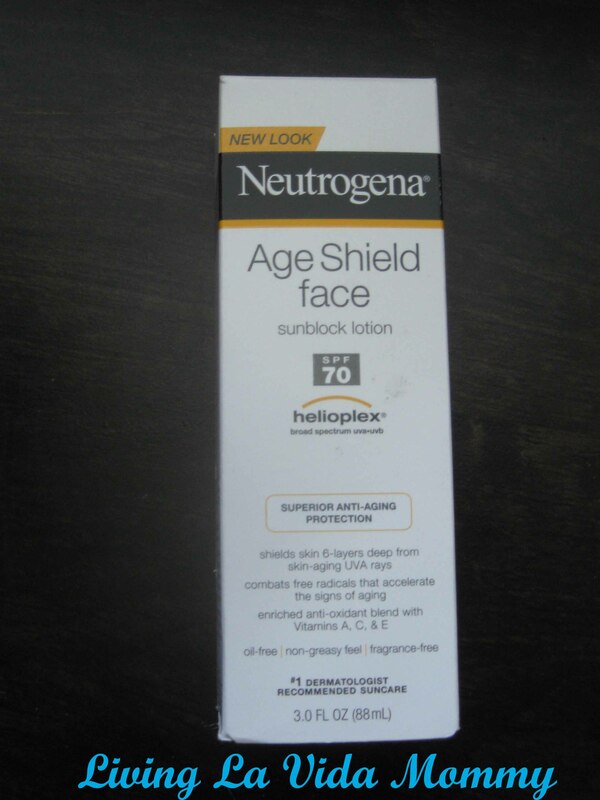 This is a great, generous sized product from a big name brand known for keeping your skin healthy. Remember to apply daily, even in the colder months! During pregnancy it is super important to keep up with your regular dentist appointments and teeth cleaning routine. 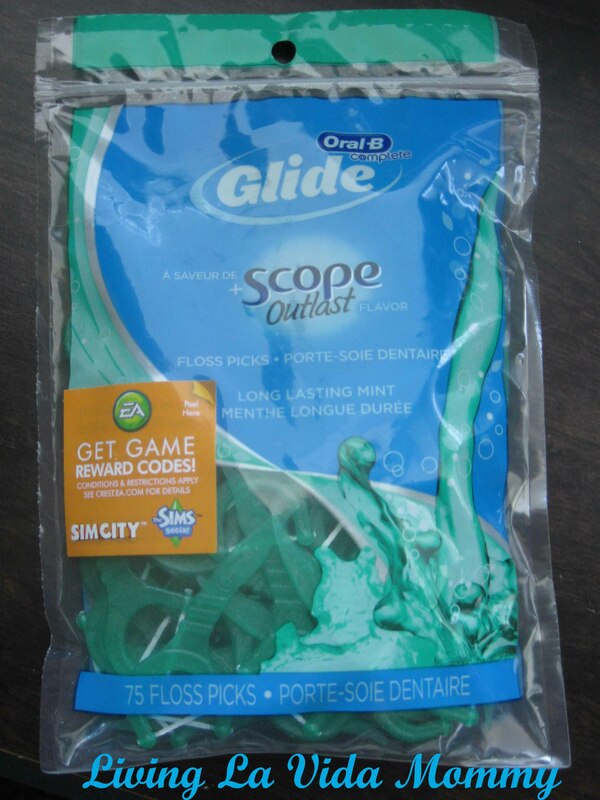 You are more susceptible now than ever to bleeding gums, so keep ahead of it and keep those gums clean! This is an awesome product to take with you on the go as well, great for a quick cleaning and breath freshening any time of day. 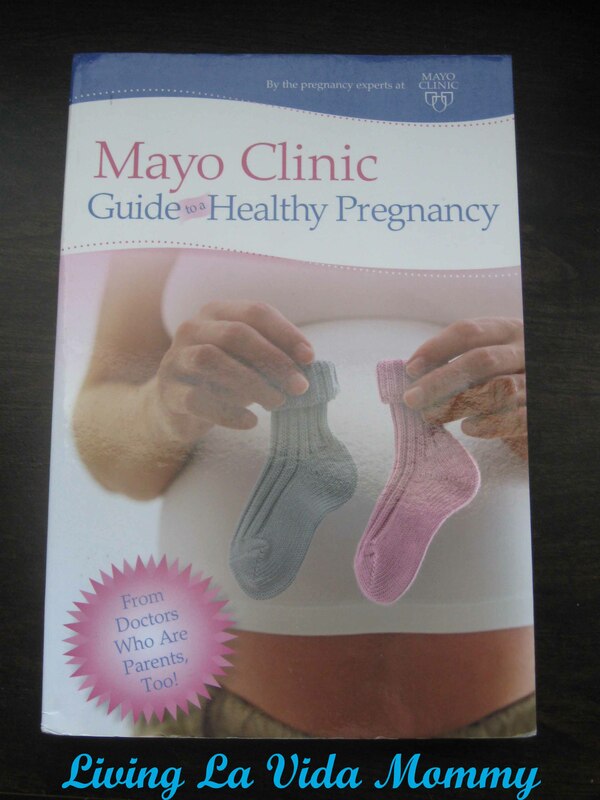 The pregnancy Bible. Seriously. This book was written by doctors who are also parents, and covers absolutely everything you could ever want to know about your pregnancy. Everything is explained very well, no confusing clinical terms, and being well informed will squash any fears you may have during your pregnancy. Pretty awesome stash, wouldn’t you agree? I think this would be a great box to look forward to each month, pampering during pregnancy should be a rule! You can subscribe to 10 Storks for as many months as you like, start at anytime! Each month is $40 and shipping is always free! Don’t forget that with each paid subscription, you will also receive a free baby box filled with great products valuing $30! 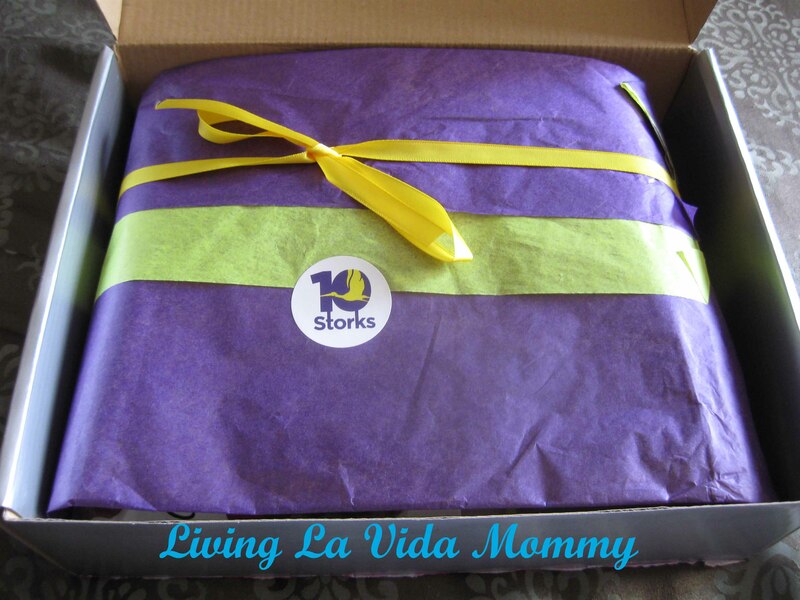 You can get your very own subscription by going to the 10 Storks website HERE. Enter code MOMLOVE for $10 off your first box! If you aren’t ready for a full subscription, there is also a pregnancy survival kit available for purchase. “Like” 10 Storks on Facebook by clicking HERE. Follow 10 Storks on Twitter by clicking HERE. I received this box from the awesome folks at 10 Storks free of charge for review purposes. I was not compensated in any other way and I really do think this is an awesome subscription box! 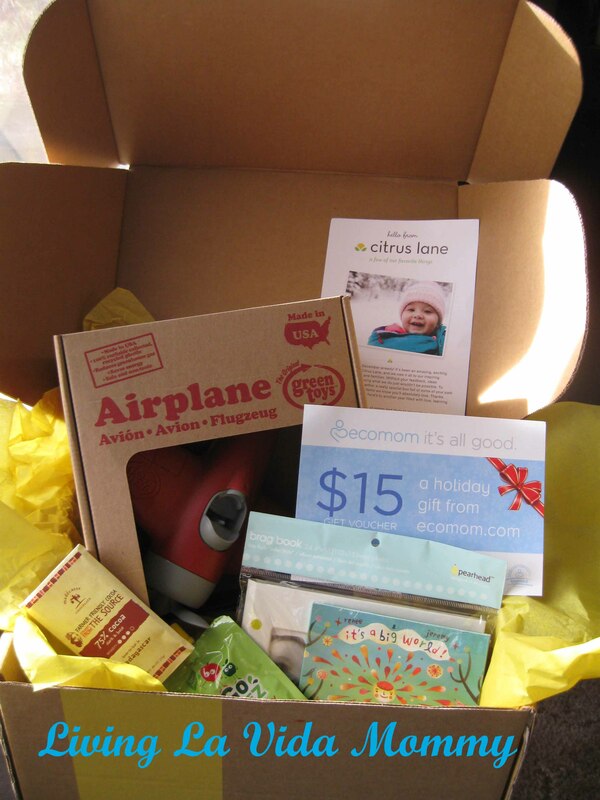 Citrus Lane’s theme for December was “A few of our favorite things”. The box was jam packed with some great goodies! Shall we begin? As always, each month includes an insert that gives you all the details of the items in the box, the websites to find the products, and very often, an exclusive savings code so you can stock up on even more of the awesome items. This month’s box came was a bit larger than usual because it had a big toy inside of it! Totally eco friendly, totally made from recycled materials (milk jugs to be exact!) and totally awesome! 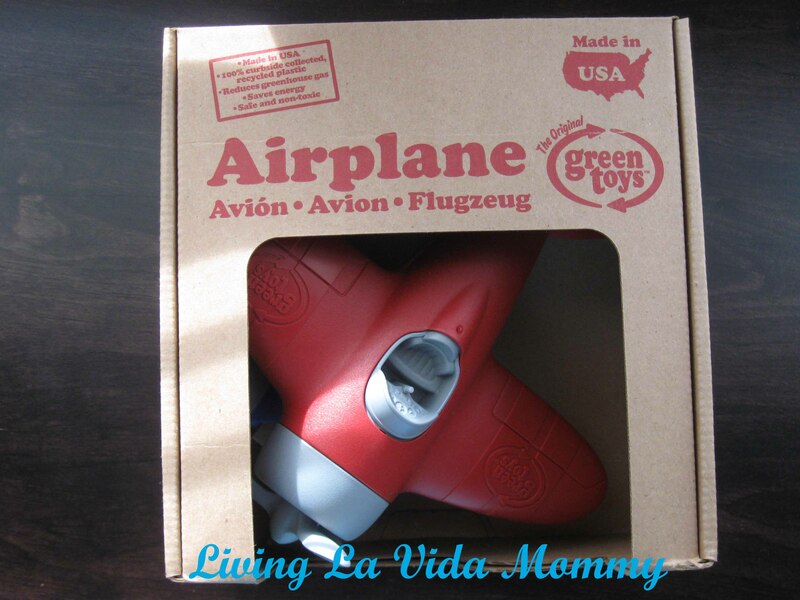 The Green Toys ariplane is a perfect imagination toy for both boys and girls alike! All of the Green Toys items are made very sturdy, ready for lots of play time with even the littlest, perhaps roughest, of little pilots! A total hit in our house, sound effects not included, but easily and very happily provided by the happy kiddos! This is not a flimsy, cheap little brag book! 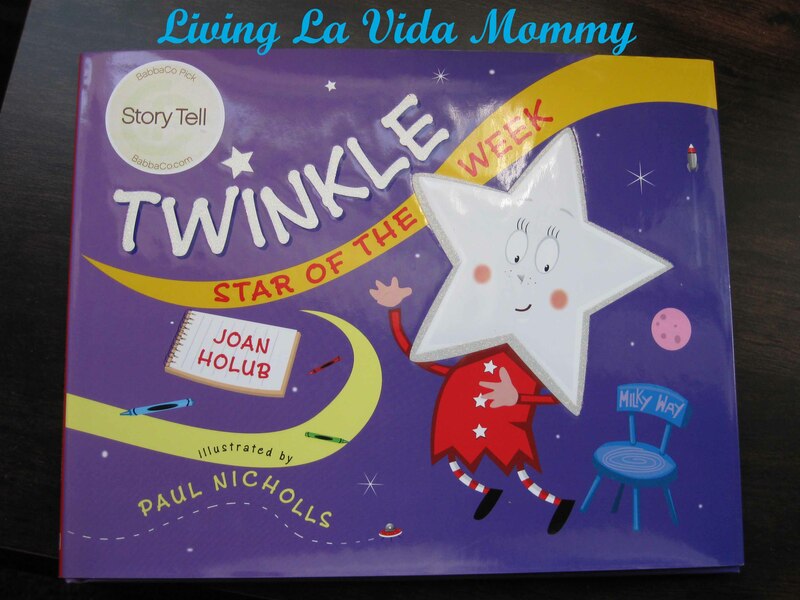 This is a hardcover, sturdily made book, perfect for a grandparent gift or just filling and keeping for yourself! 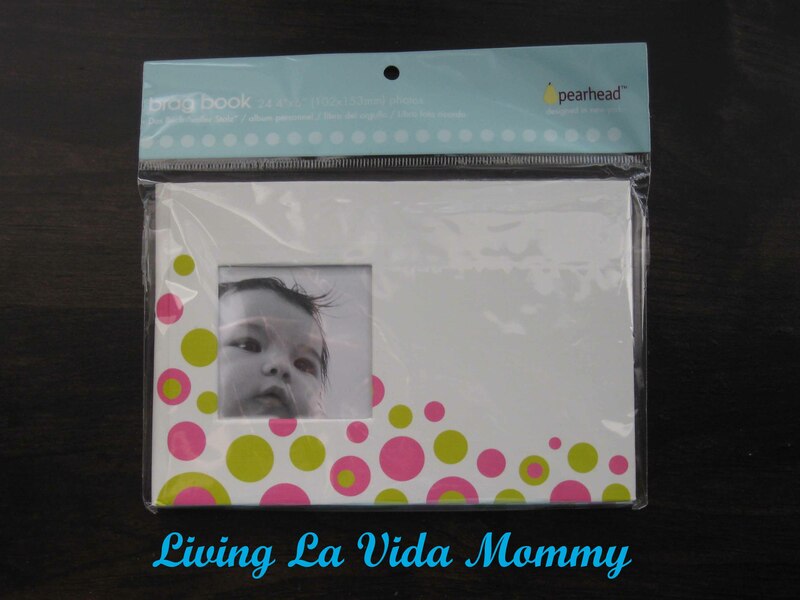 My kids love to spend time looking through photo albums, so this would even be a perfect book to fill with photos for the kids to look through whenever their little hearts desire. Very cute and easily personalized! 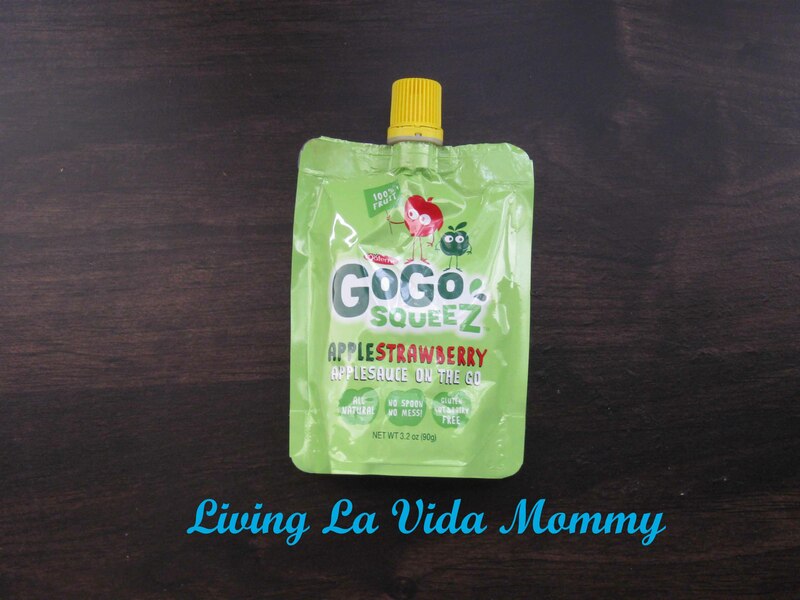 Yummy, easy, real food snack that is great to stash away in purses, diaper bags, you name it. All of my kids love to eat snacks from pouches, from 10 years old all the way down to my 1 year old. 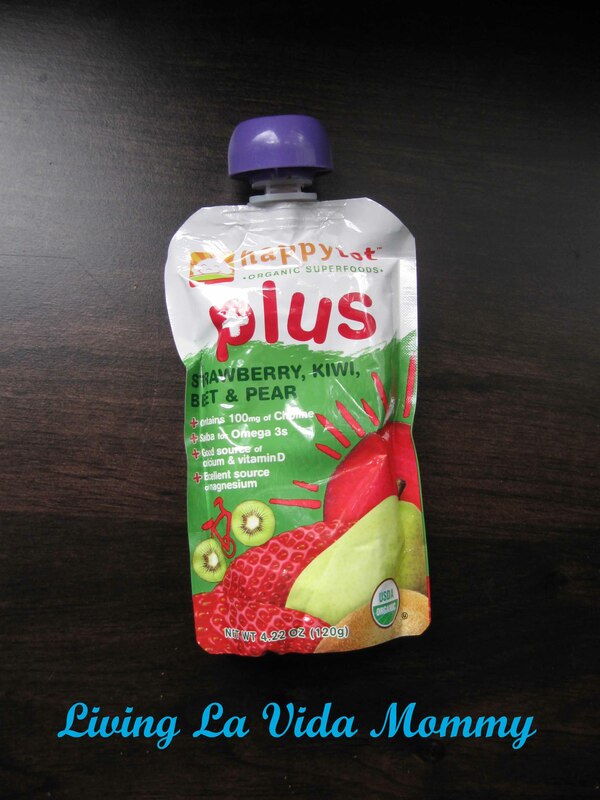 It is an easy, mess free way to give a healthy snack on the go and offers at least a few minutes of quiet time while the kids are snacking away! 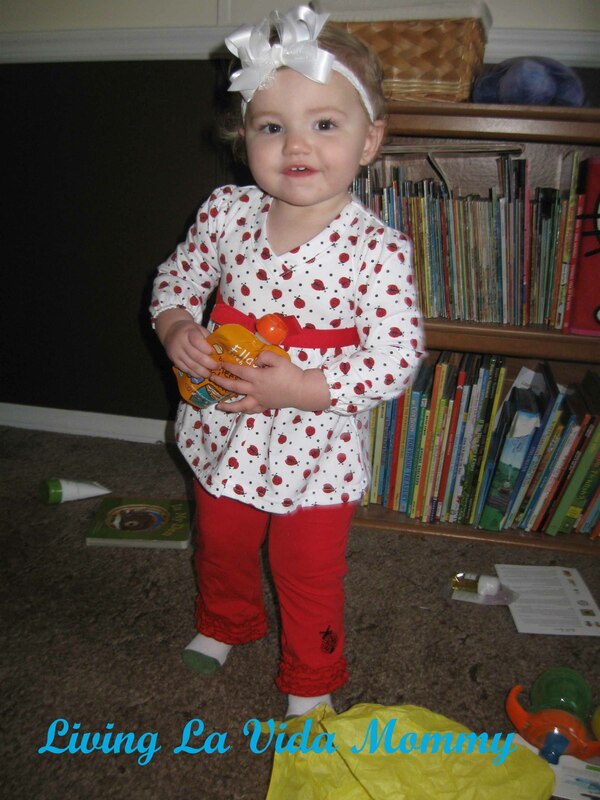 Okay, as a mama with little ones, my house is filled with all sorts of kid songs that can get…..annoying. Admit it, character voices get old fast! This CD, Rene & Jeremy as artists in general, just amazing! Calming, soothing, mellow, happy, just GOOD. They have a bit of a hippie/folkie vibe that I have to admit, I love. You can check out their website for samples of their songs. Watch out though, they are amazingly addictive! 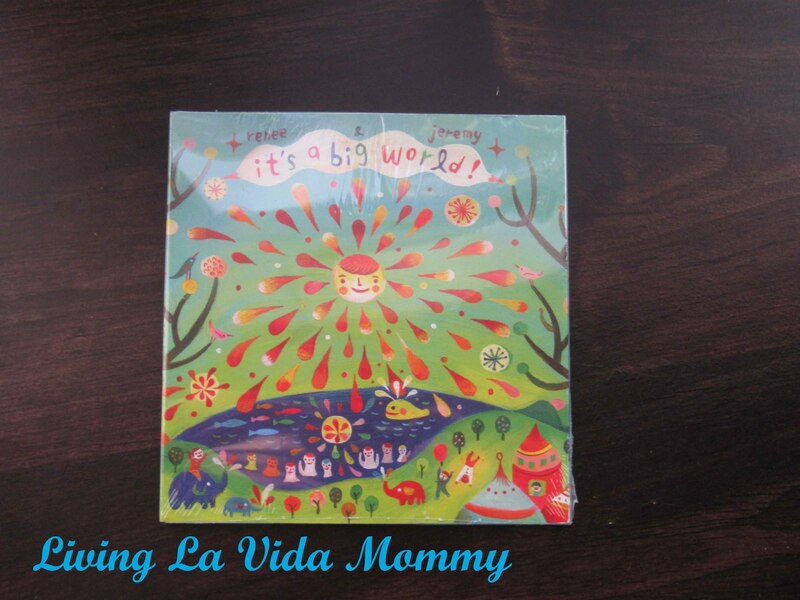 This was an added special little treat just for the mamas (or daddys!) this month. I love getting small little things for me in the boxes, and you can’t go wrong with chocolate, am I right? This particular chocolate was very dark and very bold, as the label suggests. Not for everyone’s taste buds, but still a very nice little treat! Ecomom is a website with an amazing variety of awesome, eco friendly items, both for the kids and for mom (or dad, lets not forget the papis!) 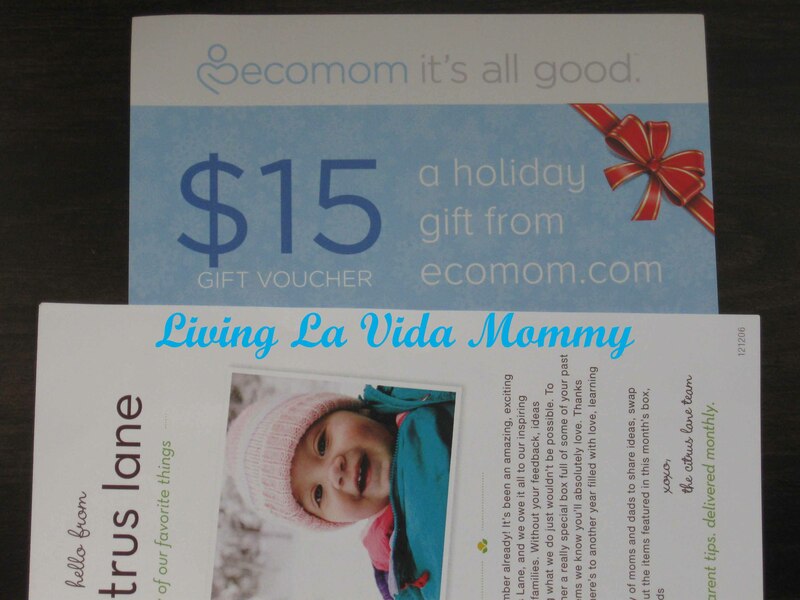 This voucher is good for $15 towards ANYTHING your heart desires on their site! What a generous gift! The hardest thing about that, is picking one thing to use it on! I am an Ecomom regular, I have no doubt that everyone will be able to find an amazing deal to use this voucher on! 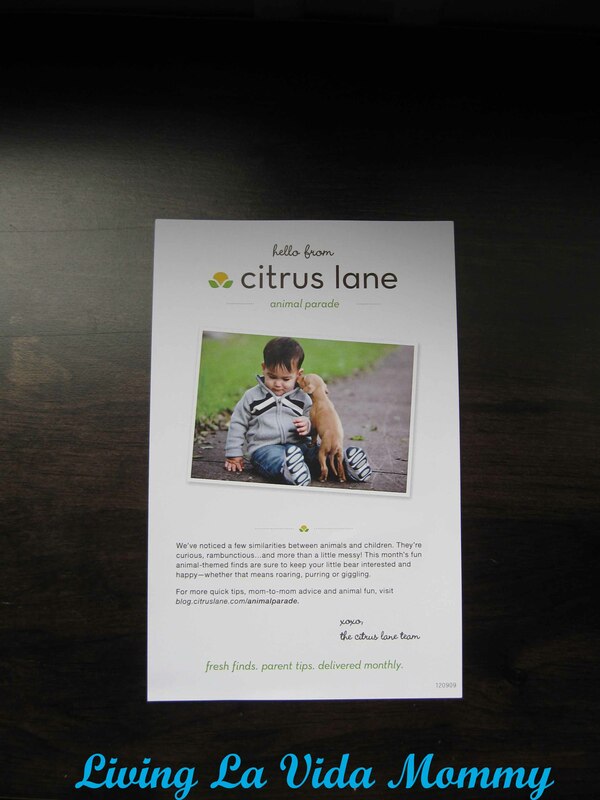 Have you fallen in love with Citrus Lane yet?! I am being 100% honest when I tell you that it is something we look forward to each and every month! We are constantly being introduced to new, awesome products and companies. 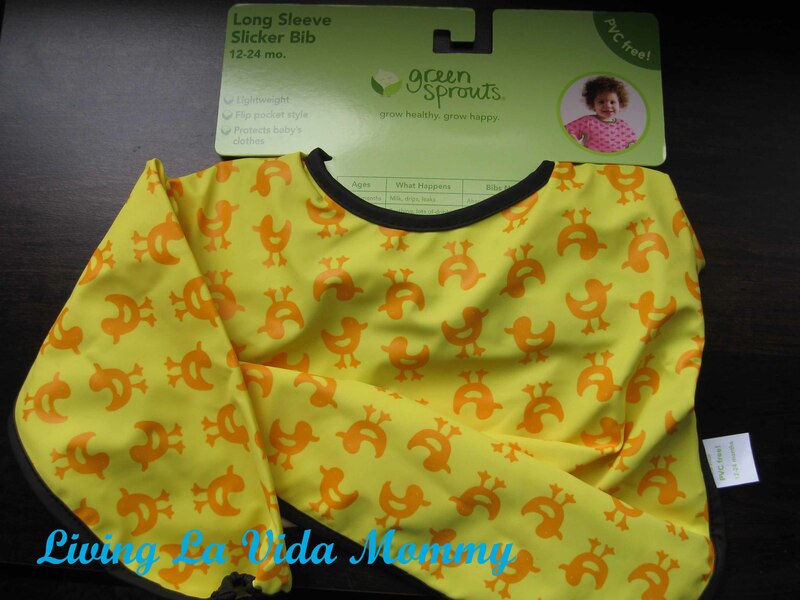 We use all of our Citrus Lane goodies regularly, and often have impressed mamas asking us where we got this or that. Wanna hear some exciting news? 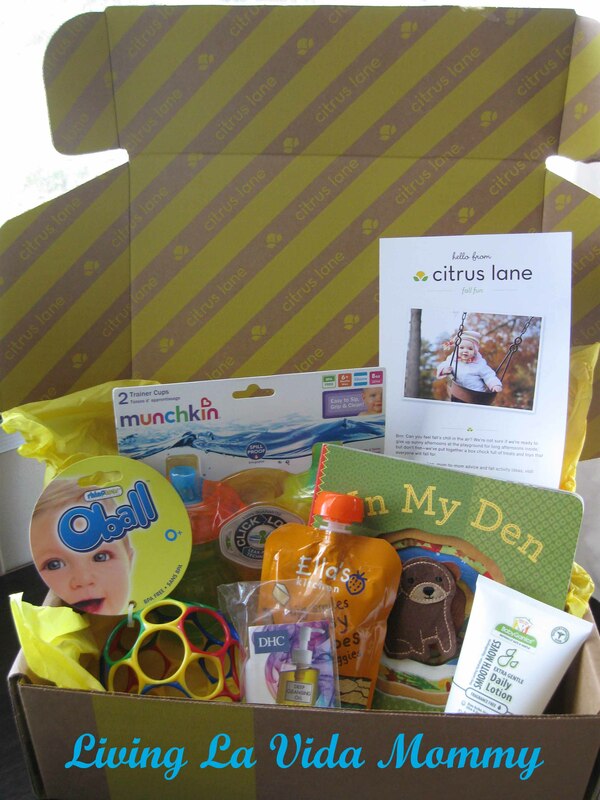 The Citrus Lane Subscription box has expanded its ages for their boxes!! 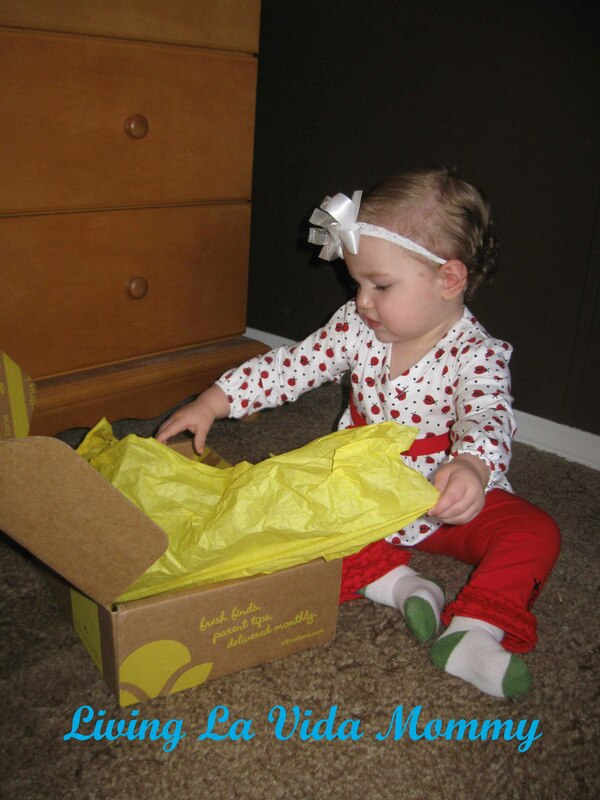 They now offer curated boxes for babies and kids from birth to age 5!! How exciting! Are you interested in a getting a subscription of your own? Well, I can help you! Click HERE to sign up and you will get $10 off your new subscription! You can get as little as 3 months, or as much as a full year! If you are interested, click HERE and enter GET3 for the 3 month subscription deal or GET6 for the 6 month deal. It’s the middle of the month, and that means there was a bright, happy package on our door step earlier this week! 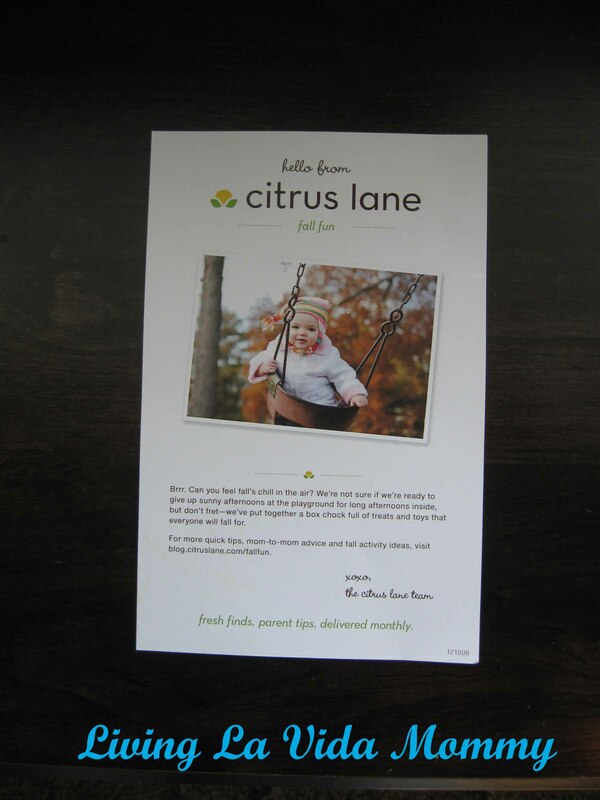 Yes, it’s Citrus Lane time again, and this month’s theme is Fall Fun. Let’s dive right in, shall we? How can you look at that bright, sunny tissue paper and not be happy? As you can see, this month’s box was once again filled with all sorts of goodies! Included in every box is an insert that gives you detailed information about all of the items, along with special coupon codes and the websites where you can find more great deals from the same companies featured in each package. 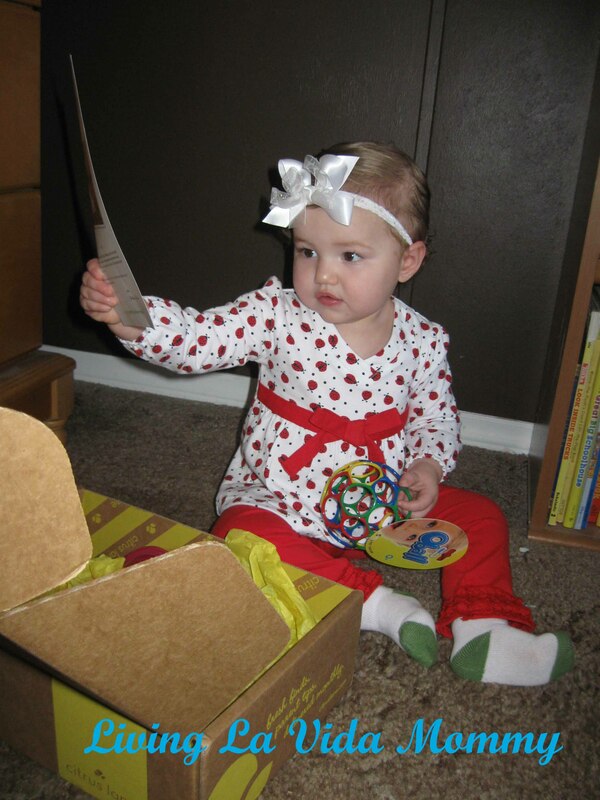 This was the very first thing Sara grabbed out of the box, even before the food, now that’s saying something! This ball is extremely lightweight, collapses down for storage and springs right back to life when you are ready to play again. 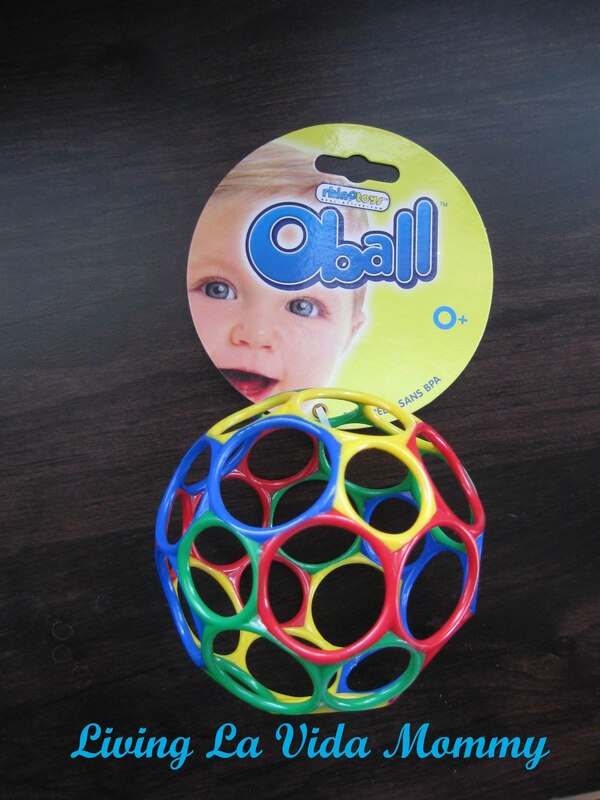 It’s hard keeping the kiddos from throwing balls in the house, but with this one, there is far less chance of them breaking anything or hurting themselves (or each other!) and that is a huge plus in my book. As usual, Sara is referring to the packing list as she discovers all the contents of her box. 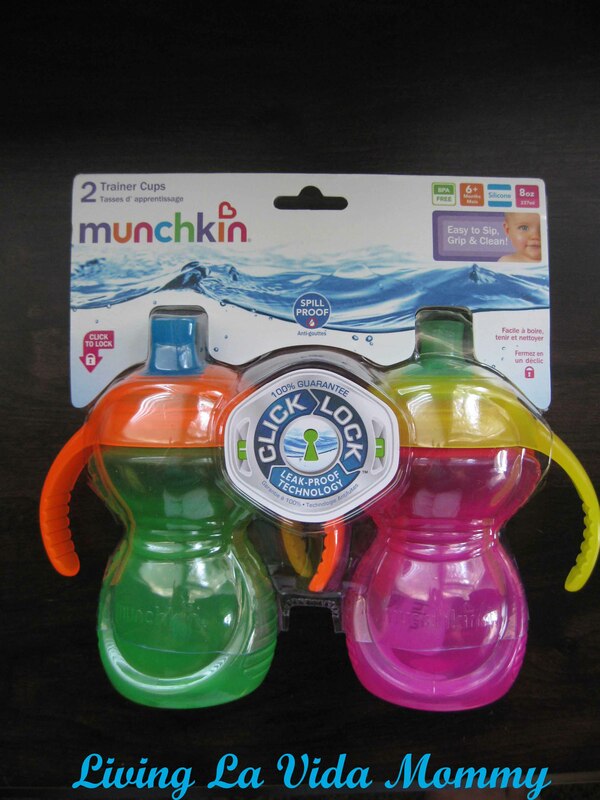 Can you ever have too many sippy cups? I mean, especially at this time of year, with all of the family fun trips on the weekend and visiting with relatives for the holidays. It’s never a bad idea to keep an extra sippy cup in the car and even one at Grandma’s house, just in case. I don’t know about you, but with four kids, well, it is a miracle every time we make it to point b. Period. If after said trip we realized we forgot a sippy cup? Well, let’s just say the baby wouldn’t be the only one crying. An extra bonus to these cups? Guaranteed 100% leak proof. Go ahead and give the kid some grape juice, it’s all good. Now, if they play sprinkler once their mouth is full, well, it wasn’t the cup’s fault. 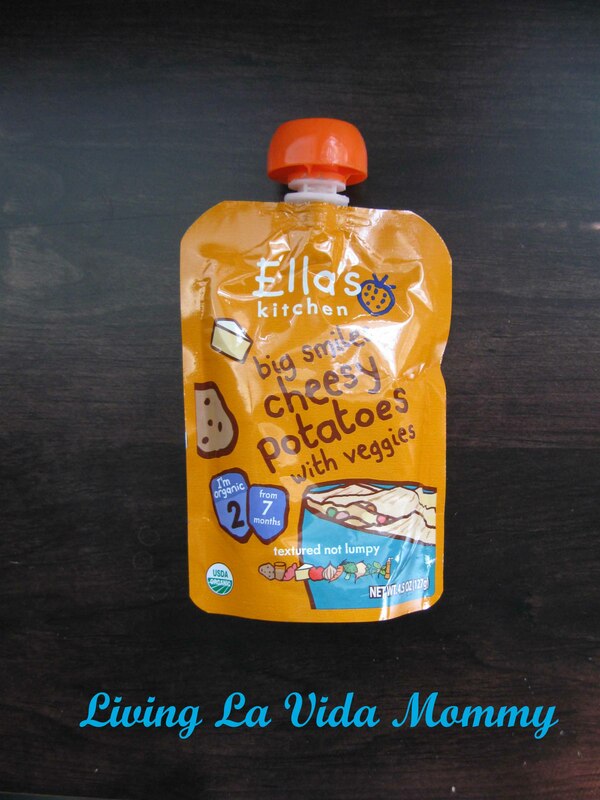 Food is always a big hit in our house, and these pouches are super convenient, travel well, and reseal if you have leftovers. Cheesy potatoes sounds like a yummy addition to any warm, fall meal, and definitely wins in the yum factor with Sara. Cooler weather means dry, itchy skin. 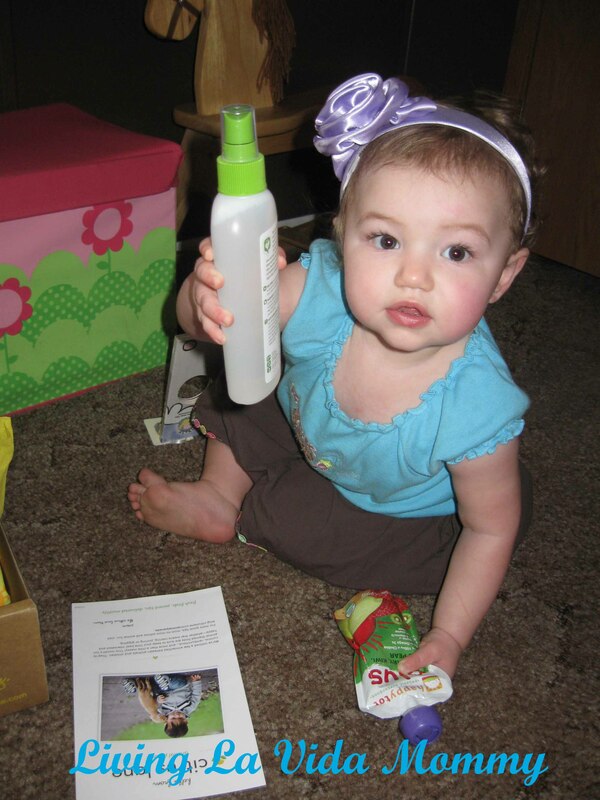 This BabyGanic lotion is silky smooth, with all kinds of great, nourishing ingredients that won’t only soothe, but will really benefit baby’s (or your!) skin. 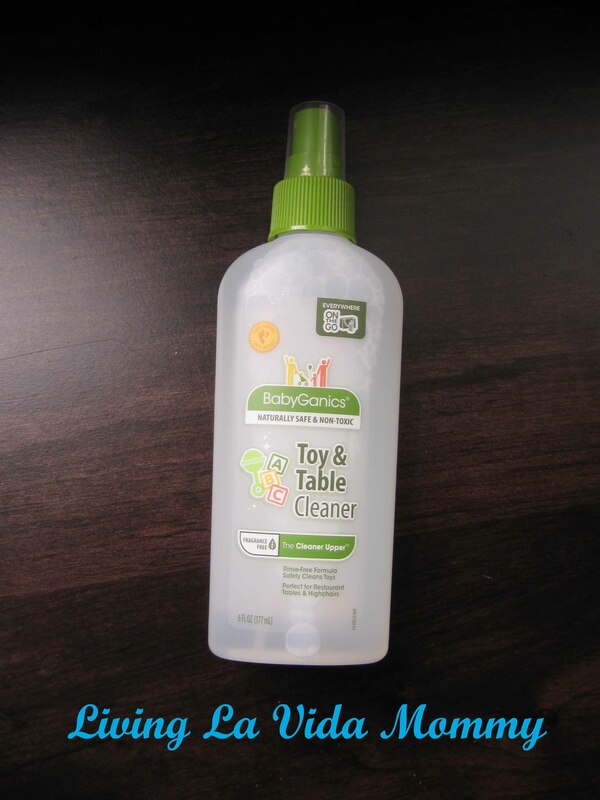 There are no nasty chemicals in this lotion, so no worries using on even the littlest ones. Yay for healthy skin! This month’s box included a mama treat! This is a cleansing oil. Sounds counter intuitive? I concur. This 100% water soluble formula promises to dissolves away the dirt, makeup, sunscreen, etc that everyday brings and rinse off leaving skin soft, smooth and healthy. I haven’t tried it yet, but I am definitely looking forward to pampering myself, thank you Citrus Lane! 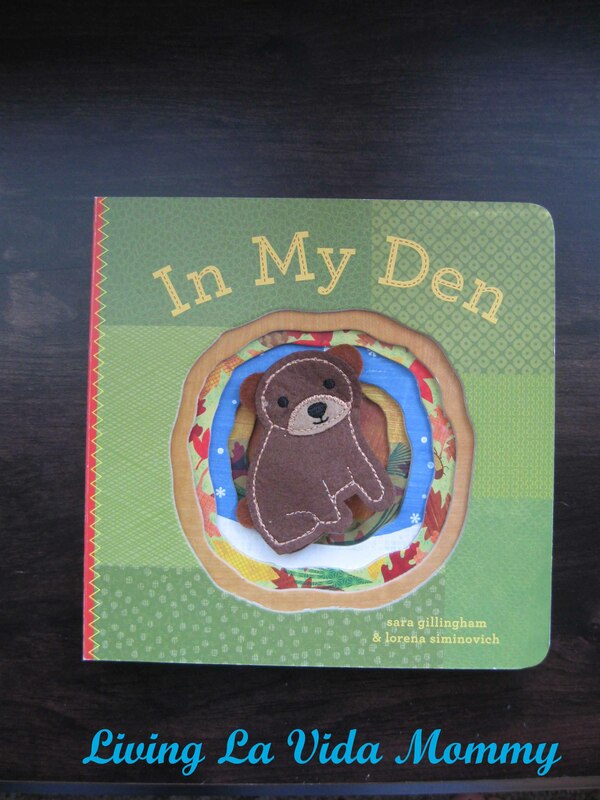 This adorable book has a finger puppet, right in the middle, making story time interactive and even more fun! 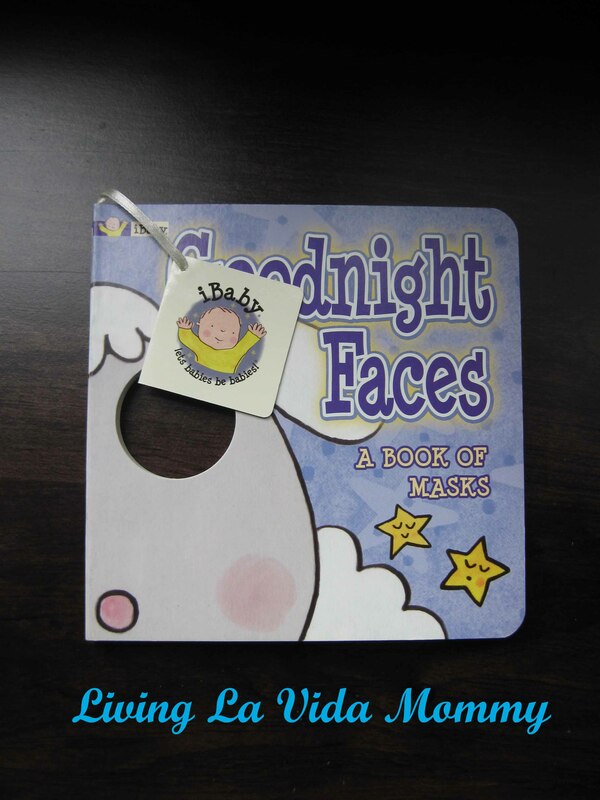 This book is perfect for snuggling up to after a day at the pumpkin patch, and it has a super sweet message. So cute, and as I have said before, we are book hoarders in our home, so a book is always a very welcome addition! 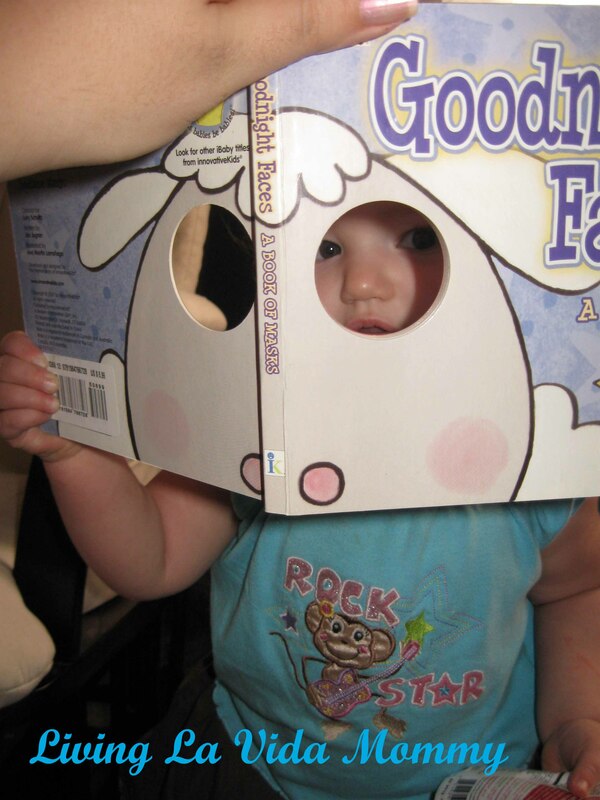 Sometimes, no matter how cool the stuff in the box is, the box ends up being the best toy! 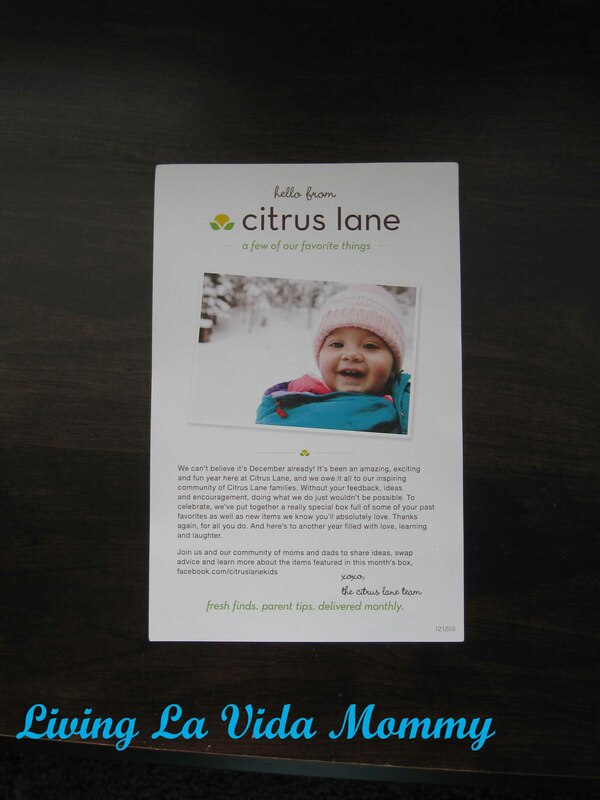 So, in case you haven’t noticed my love of Citrus Lane, which you can read about here and here, I love subscription boxes. I love to get mail, I love discovering new brands and new ideas, and I love to splurge on my babies. 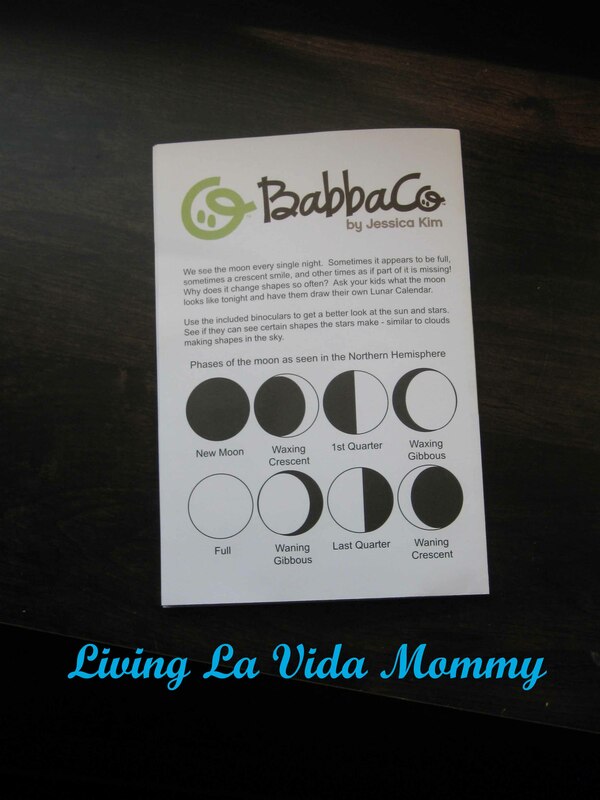 When I stumbled across BabbaCo, and their BabbaBoxes aimed at ages 3-6, well, to say I was interested would be an understatement. This mama was giddy with excitement. Yes, giddy. 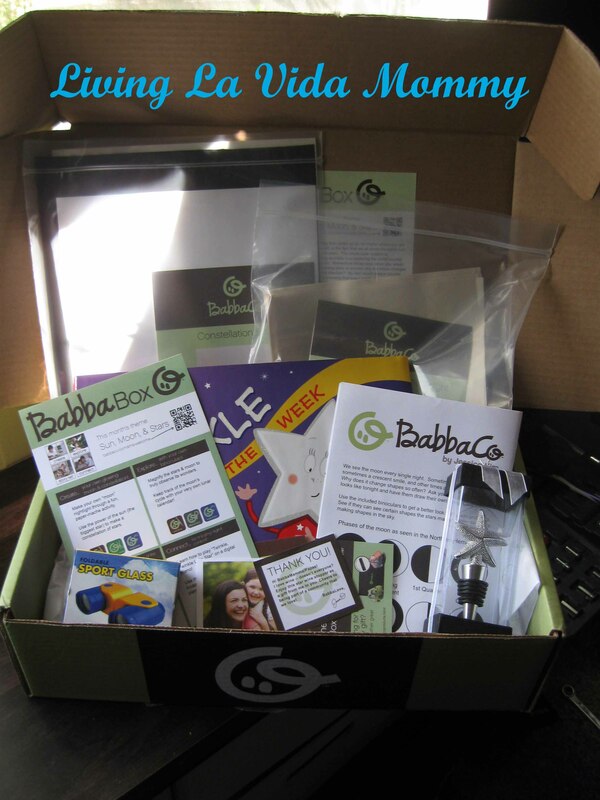 BabbaBoxes are themed boxes sent to your door each month filled with projects, activities, books,digital downloads and online content. Absolutely everything that you need to complete the projects are included in the boxes, right down to the glue and paper. 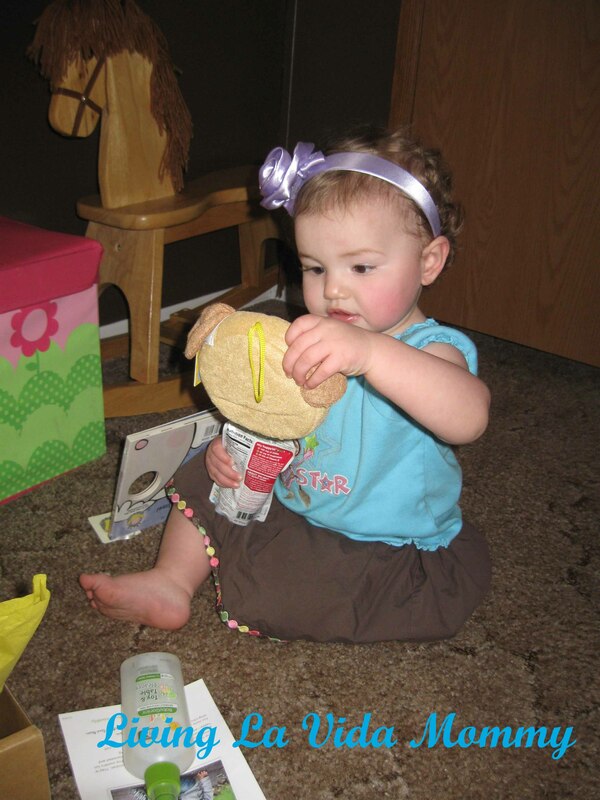 No more emergency pit stops at craft stores to gather supplies! 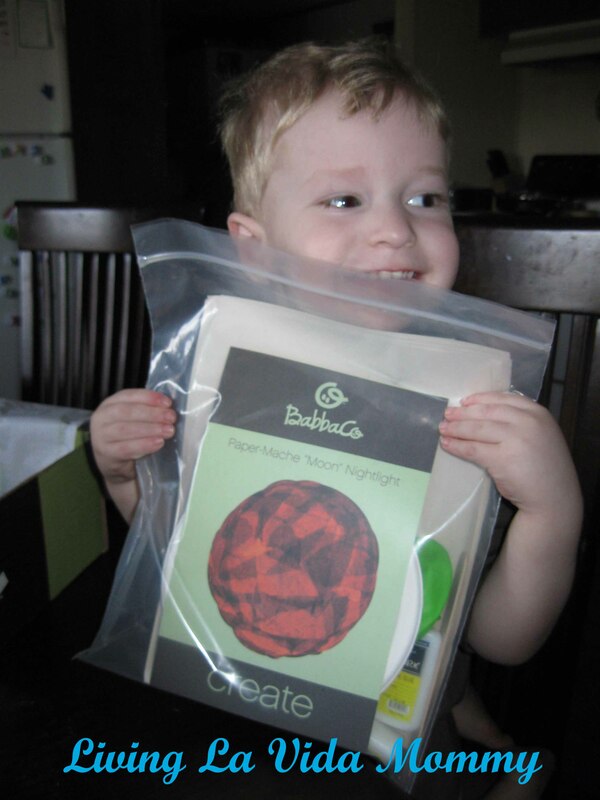 I am a well stocked crafter, but even I can appreciate having everything handed to me all in one pretty package. At $29.99 a month, shipping included, BabbaBoxes are a bit more expensive that Citrus Lane boxes, but honestly, it’s like comparing apples and oranges. 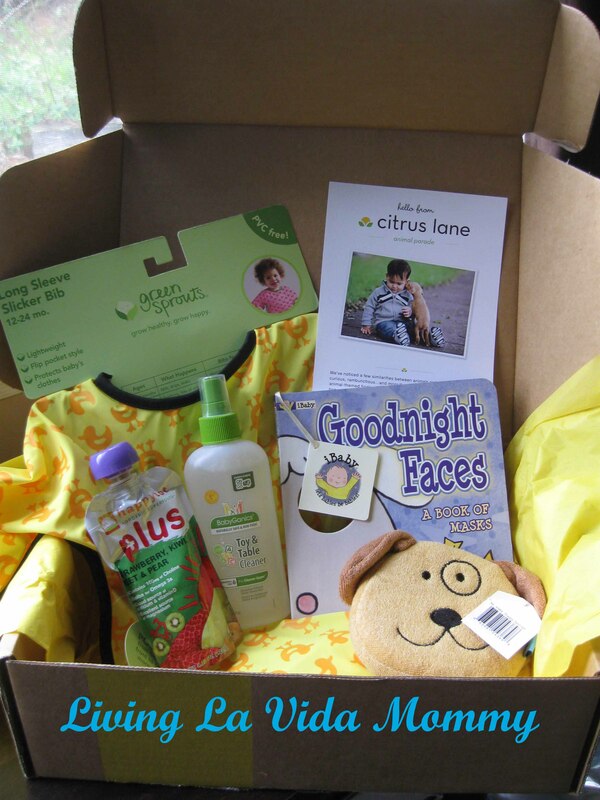 Citrus Lane focuses on sending products, while BabbaBox is more of a learning experience, a chance to really sit down and spend some quality time with the kiddos as you learn and complete the fun activities. 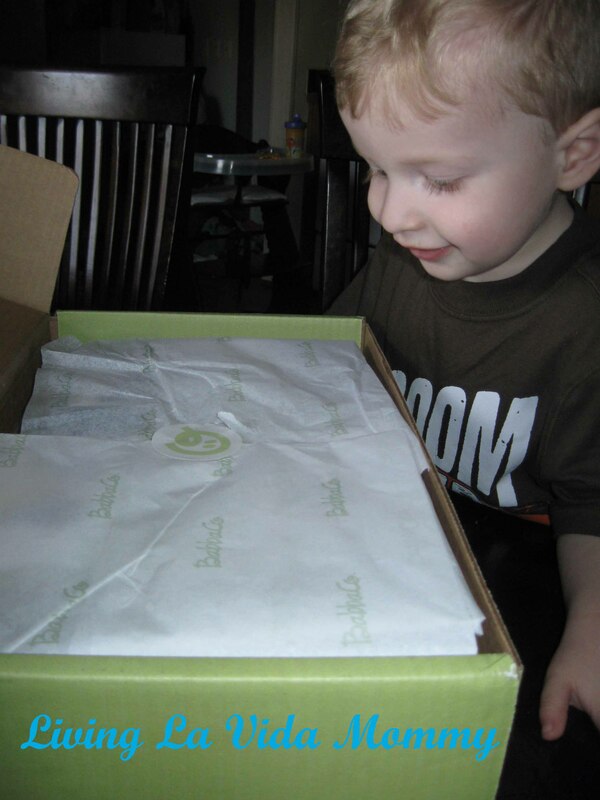 The very first box all members get when signing up for BabbaBox is themed Sun, Moon & Stars. As you can see, Noah was very happy to dig into our box. While he is not quite 3, I think Isabella and even Matthew will enjoy helping out with the projects and learning along with him. How about that? Three kids, one box. Cool beans. 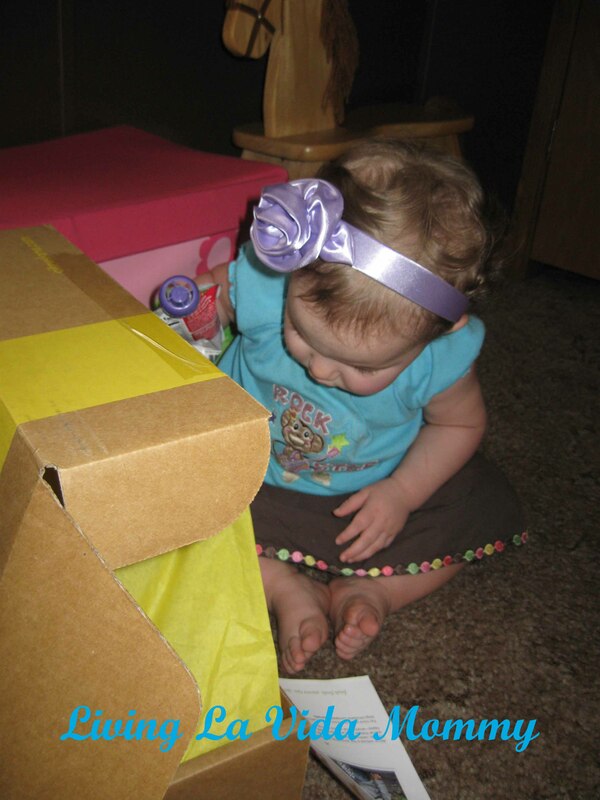 Our box was filled with all sorts of fun stuff! 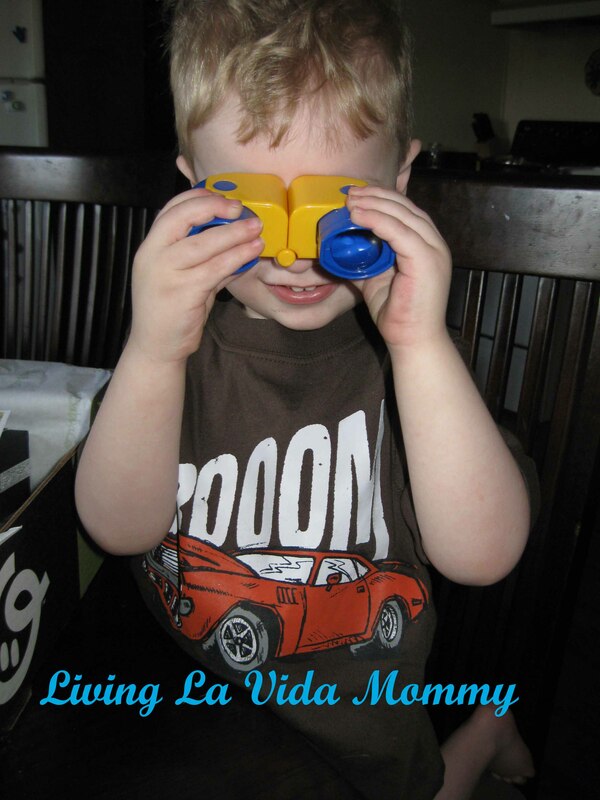 The first thing that caught Noah’s attention was, of course, the binoculars! These are part of the “Explore” aspect of the box, where we can use the binoculars to study the moon and the stars in the night sky. As we study the different phases of the moon, we have a worksheet to fill in and chart the phases ourselves. I know Matt and Bella will love this activity! And I’m sure Noah will enjoy directing them as they fill in the phases for him. He likes to delegate. 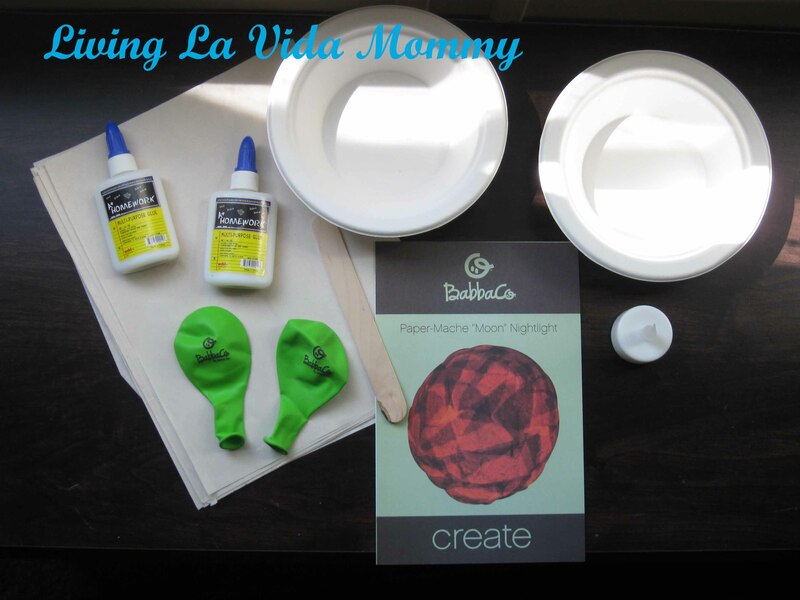 Part of our “Create” portion this month, is making our own paper mache moon night light! Okay, this activity sounds awesome. They even included a craft stick to stir the paper mache mixture! Yes, that is very smart, I love it! And the “light” of the night light? A little LED tealight. Brilliant! I am so looking forward to seeing this craft finished! 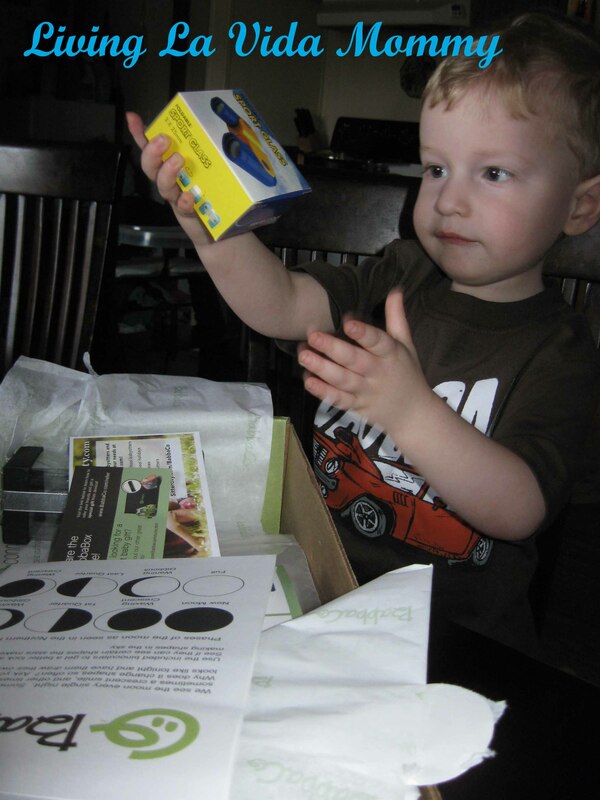 As you can see, Noah inspected every single element of this box! This is another neat project that involves sun paper. In case you don’t know what sun paper is, it is paper that has a chemical reaction to sunlight. 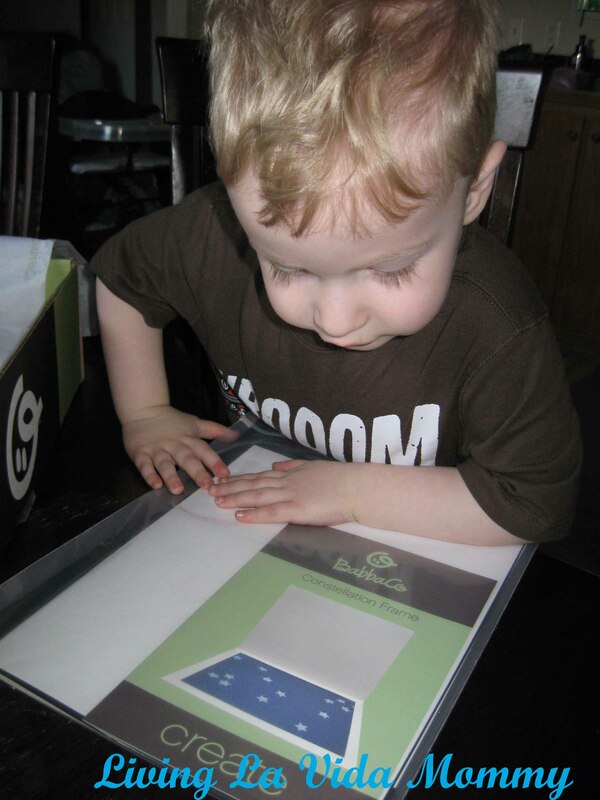 In this example, the kit comes with star stickers for the kids to make their own constellation. 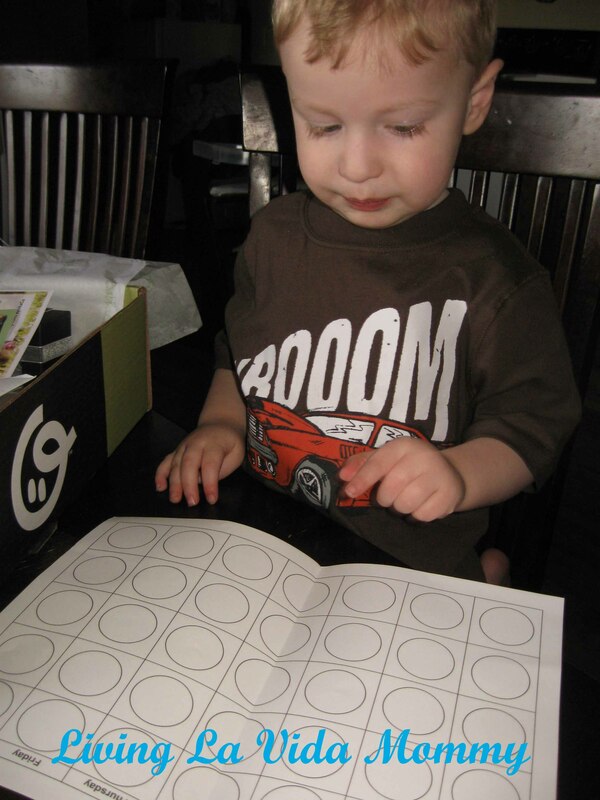 Once the stickers are applied, you set the paper out in the sun for a minute or two and then bring it back in. A few short steps later, you have a very spiffy piece of art work that you actually used the sun to make! 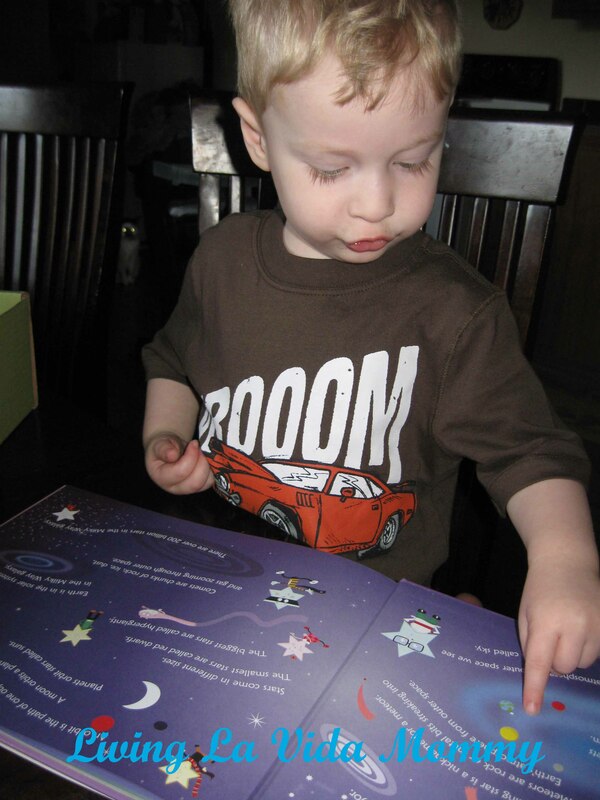 Our home is filled with bookworms, and Noah is no exception! 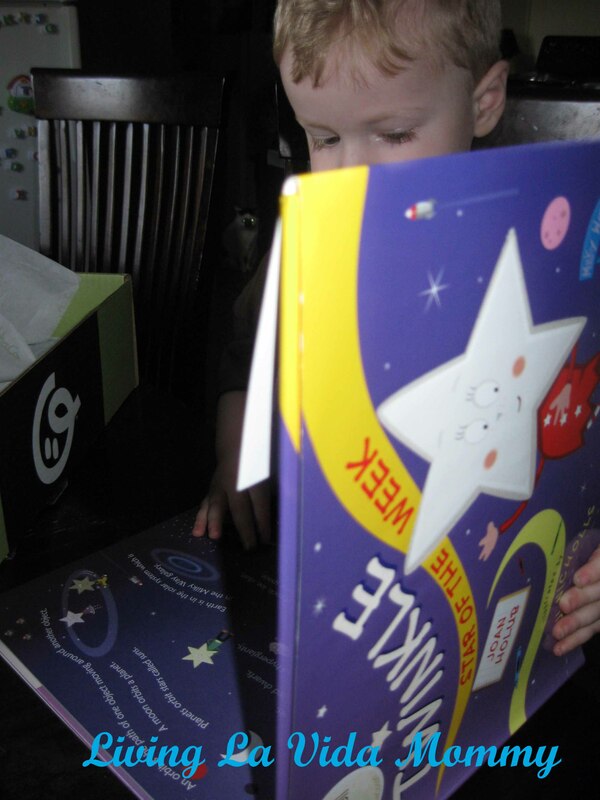 I love that the BabbaBoxes include a book, and you can bet Noah was excited to find one in his box! So cute, so fitting and it is a very nice quality hardback, which I definitely appreciate! Noah wasted no time exploring his new book, and added bonus, we have a new reader that can help read it to him and practice her reading skills at the same time. Oh BabbaBox, you are making me fall in love! And if all of this weren’t enough, BabbaBox did not forget about the parents! 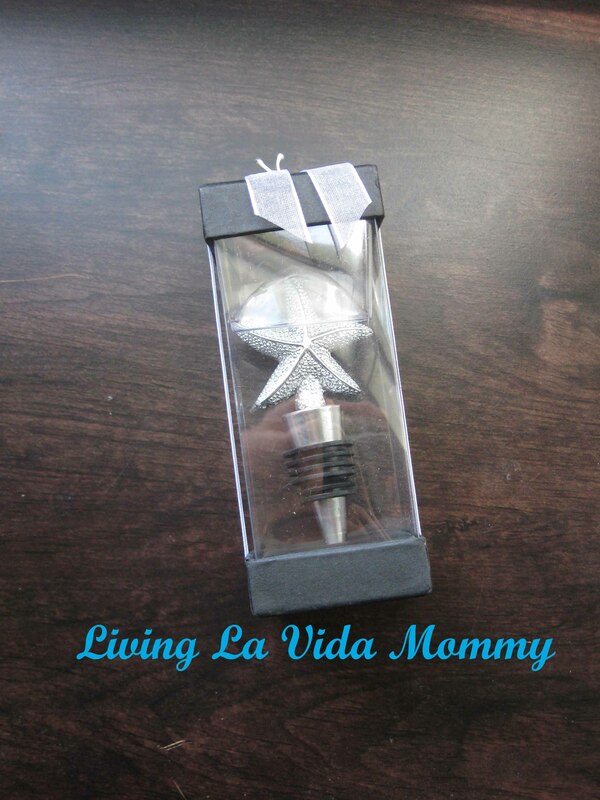 This is a spiffy, theme fitting wine bottle stopper. How awesome is that? It is so pretty, and really, I appreciate the little gift, just as Citrus Lane likes to do in their boxes for the mamis and the papis. I want to include a second, follow up review to this box that will involve the kiddos actually doing the projects and then showing the finished pieces. So far, I like it. I know the kids love it. I am very curious to see what else BabbaBox has in store for the coming months. 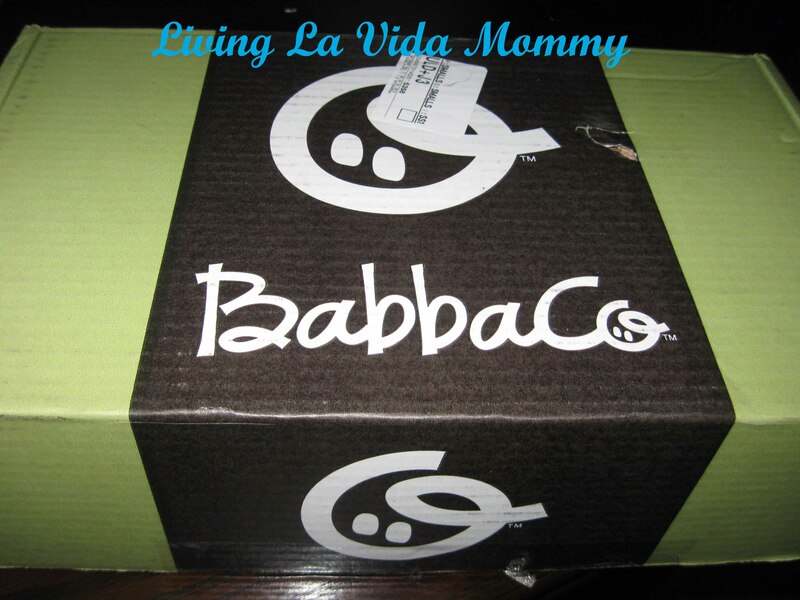 If you are interested in checking out a BabbaBox for yourself, go HERE and give them a try. If you enter coupon code “a20off”, you will get 20% off your first order! We are currently working on our paper mache moon, so I will definitely update with pictures soon! Oh, and one more thing to add! I did not receive my BabbaBox for free, I bought it with my own money and decided to share what I think because I’m awesome. I also think the BabbaBox is pretty awesome. Everything I share with you here on my little chunk of the blogosphere is stuff I personally love and buy with my own money unless I happen to mention otherwise. Now, if BabbaCo reads this and wants to send me free stuff, well then, I could not say no to that. But seriously, I love the concept, I love the box, and most importantly, I love the structured quality time that it gives me with all four of my little monkeys.